There has been a lot of debate lately about how Bitcoin compares to the dotcom bubble. Both involve new technology and rapidly increasing prices, so its no surprise comparisons are being drawn. 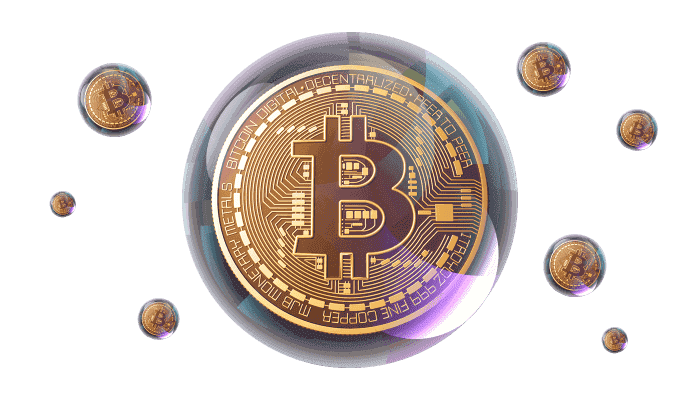 Lets take a look at exactly what bubbles are, and the similarities and differences between Bitcoin and the dotcom bubble. The basic definition of a financial bubble is a time when the price of an asset inflates far beyond it intrinsic value. But theres far more to it than that. Financial bubbles are a common, seemingly unavoidable part of the economy, having occurred on a regular basis for over 400 years. During a bubble, people develop an overly optimistic expectation that the price of that asset will remain at its current level or continue to inflate. At some point, that illusion dispels and the price drops, often in a short period of time. Unmistakeable and often dramatic, the final crash is referred to as the bursting of the bubble. While bubbles are obvious in hindsight, they may be difficult to predict or identify during the growth stage. We also don't know what causes bubbles, although it's often pinned on simple psychology. Financial bubbles tend to follow a defined structure. They begin with an increase in the price of an asset, with a subsequent growth of demand. Excitement and anticipation of further price increases abound. Over time, demand wanes and people begin to sell the asset. A vicious cycle ensues, with a sudden increase in demand causing prices to drop. But this is a simplified explanation of a complex occurrence and the stages only seem apparent after the bubble bursts. How does Bitcoin compare to the dotcom bubble? When the tech bubble burst almost twenty years ago, it was the beginning of the internet, not the end. Some of the companies that survived or began shortly after (such as Amazon) have become an integral part of our lives. Its estimated that almost half the dotcom companies did survive the crash. One perspective is that it doesn't really matter what Bitcoin prices do. We're focusing on the price of the currency and ignoring the important detail: thepotential valueof the underlying technology and ideas. Viewing through this lens, the blockchain is the future and we should be paying attention to that and not to the possibility of Bitcoin replacing fiat currencies. One of the biggest differences between Bitcoin and dotcom stocks in the early 2000s is the size of its market cap. The total value of all circulating Bitcoin is around $212 billion. To give some perspective, Bill Gates, one of the biggest winners from the dotcom days, has a net worth of around $86 billion. By contrast, the market cap of dotcom stocks reached between $3- 5 trillion depending on who you ask. The price of Bitcoin would need to hit around $90,000 for it to compare to the lower estimates. A further contrast is the nature of the people involved. Back in 2000, investing was largely confined to a small group of wealthy. Bitcoin is far more accessible (and we have the internet to thank for that.) Almost anyone with WiFi can get involved, with minimal effort. This means there are possibly hundreds of thousands of people with skin in the game and a strong incentive to make it work. The short answer is that we dont know and there is no way to know. There is no clear method for identifying a bubble. Every bubble is different, definitions vary and some economists argue that they dont even exist. Something can meet the usual criteria for a bubble without popping - its estimated that almost half of the bubbles since 1928never popped. Bubbles involve a gulf between the value of an asset and its price. Bitcoin makes things complicated because no one is decided onwhat it actually is. Currency, investment, technology, collectable, or barter tool? Opinions and uses vary wildly. This makes it impossible to establish a figure for the intrinsic value (and theres no definition of intrinsic value either, but thats another story.) We do however know that new technologies often experience a dramatic price increase shortly before becoming widely accepted and adopted. Once the true uses become apparent, prices tend to sort themselves out. What are your thoughts? Let us know if you think Bitcoin is a bubble or not in the community forum.